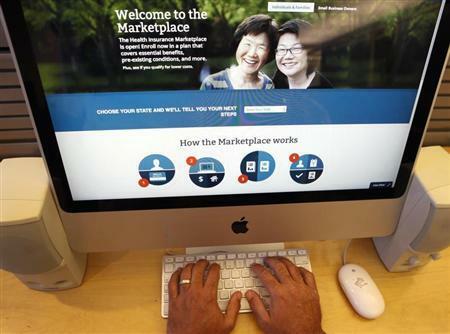 A data center critical for allowing uninsured Americans to buy health coverage under President Barack Obama’s healthcare law went down on Sunday, halting online enrollment for all 50 states in the latest problem to hit the program’s troubled rollout. The data center operated by Verizon’s Terremark experienced a connectivity issue that caused it to shut down, affecting the federal government’s already problem-plagued online marketplace Healthcare.gov and similar sites operated by 14 states and the District of Columbia, according to the U.S. Department of Health and Human Services (HHS). Obama administration and company officials could not say how long it would take to fix the connectivity problem. Separate technical problems that have stalled enrollment on Healthcare.gov since its launch on October 1 are at the heart of a new Republican effort to discredit the healthcare law, also known as Obamacare, largely through congressional investigations to determine what went wrong in building the costly and complicated implementation system. Health and Human Services Secretary Kathleen Sebelius is due to testify later this week before a House of Representatives committee, while government contractors work around the clock to improve the Healthcare.gov website. The outage that started in the early hours of Sunday caused the data center to lose network connectivity with the federal government’s data services hub, an electronic traffic roundabout that links the online health insurance marketplaces with numerous federal agencies and can verify people’s identity, citizenship, and other facts. Without the hub, consumers are unable to apply online for coverage or determine their eligibility for federal subsidies to help pay for insurance premiums. On Saturday, Sebelius praised the hub’s ability to perform complex calculations in quick time as an example of a successful segment of the system. The outage was affecting enrollment in all 50 states, as well as Terremark customers not connected with the marketplaces, according to the HHS spokeswoman. She said the data center’s network connectivity went down during planned maintenance to replace a failed networking component. “Our engineers have been working with HHS and other technology companies to identify and address the root cause of the issue,” Verizon spokesman Jeff Nelson said. The administration has expressed confidence it can fix underlying problems with Healthcare.gov by early December, in time for people to meet a December 15 deadline to enroll in new health plans to receive benefits on January 1. Further delays would jeopardize its ability to enroll as many as 7 million Americans for coverage during Obamacare’s first year. Sebelius, who faces Republican calls for her resignation, will be grilled about her role in the Obamacare rollout on Wednesday before the House Energy and Commerce Committee. Contractors have already blamed the administration for not conducting enough vital system-wide testing and for a last-minute design change requiring online visitors to set up accounts before window-shopping for insurance. The change is widely blamed for creating early bottlenecks as millions of people flooded the website. Health officials in Connecticut, one of the 14 states that constructed their own marketplaces, were the first to report on Sunday that potential customers would not be able to complete the sign-up process for some services but could create accounts and search for pricing comparisons. The Centers for Medicare and Medicaid Services, the HHS agency responsible for the federal system, told Connecticut officials about the outage and gave no indication of when the data services hub would be functioning again, said a spokeswoman for Access Health CT, the Connecticut exchange.